Handicapping horse racing is much more complicated than most beginners will ever get to realize. There are just so many variables, it’s almost humanly impossible to factor them all in, yet that is exactly what a good handicapper has to at least attempt to do. Here are a few factors I’m pretty certain many of you have never even considered thus far. Race horses receive medication, whether you like it or not. It may not be particularly humane or even healthy for them to have their performances tampered with through such chemicals, but it is a fact of life that race horses are essentially drugged to perform better. There are two kinds of medication given to race horses: Lasix and Bute. Lasix is used to prevent bleeding and Bute – phenylbutazone – is essentially a non-steroidal anti-inflammatory drug. While Lasix is legal everywhere, it is banned for use on race-day by most countries. Only the US, some South American countries, including Brazil, and some tracks in Canada, allow the medication to be used on race day. Bute is only legal on certain US West Coast racetracks. Lasix is relatively easy to factor into your handicapping. A horse which gets Lasix for the first time is pretty much guaranteed to improve. Just mark the Lasix on your handicapping sheet and don’t forget to actually take it into account too. Bute is a lot different. There are horses out there which are completely “addicted” to Bute in the sense that they only run well on Bute. Other horses don’t run well at all with Bute. The way to make heads and tails of this mess is to take a look at the medication columns of past races and see how horses did in those races. If a horse ran well on Bute and you know it won’t be on it for the upcoming race, you know what to do. If a horse didn’t run well with Bute, it may turn out to be a different horse once off it. Another – quite tricky handicapping factor – is jockey/trainer change. This one’s not as much overlooked as it’s misunderstood and misused. Some people make a habit out of betting a certain jockey. Sure, top jockeys have better winning percentages for a reason. 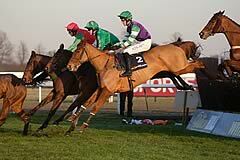 Most folks overlook the fact though that top jockeys tend to land top mounts too. The truth about jockeys is this: no jockey will ever be able to make a given horse run faster than its natural abilities allow it to. On the other hand, a bad jockey is perfectly capable of destroying a horse’s run. There are jockeys out there who are able to bring the best out of certain horses. The way to estimate the jockey’s impact on the performance of the horse is to take a look at the horse’s record under various jockeys. Moderation is the key word here though: one should never place too big an accent on the jockey factor. Trainer changes on the other hand have quite a big impact on the performance of the horse over the upcoming few races. The way to tell exactly how a trainer change impacts performance is to compare races on the same tracks under different trainers. If there’s a change, one should mark it on his/her handicapping sheet. The way to squeeze the most out of a square rakeback deal is to register as a poker prop. To get prop rakeback one will have to obey certain rules and restrictions, but the rewards are well worth it.